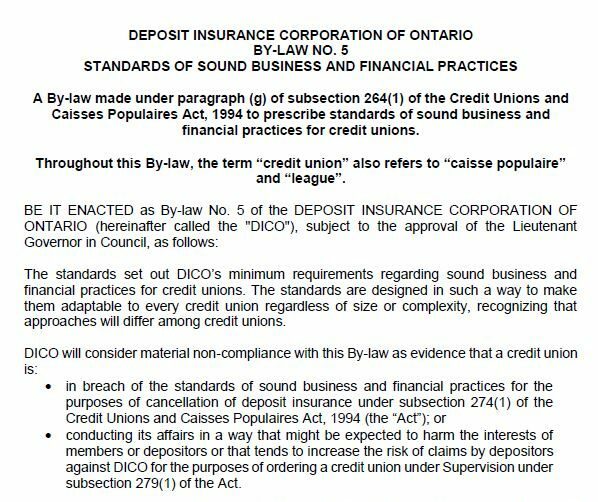 Credit Unions are making a difference in communities across Canada. At the same time, they are facing business and regulatory pressures that make that job just a bit harder. 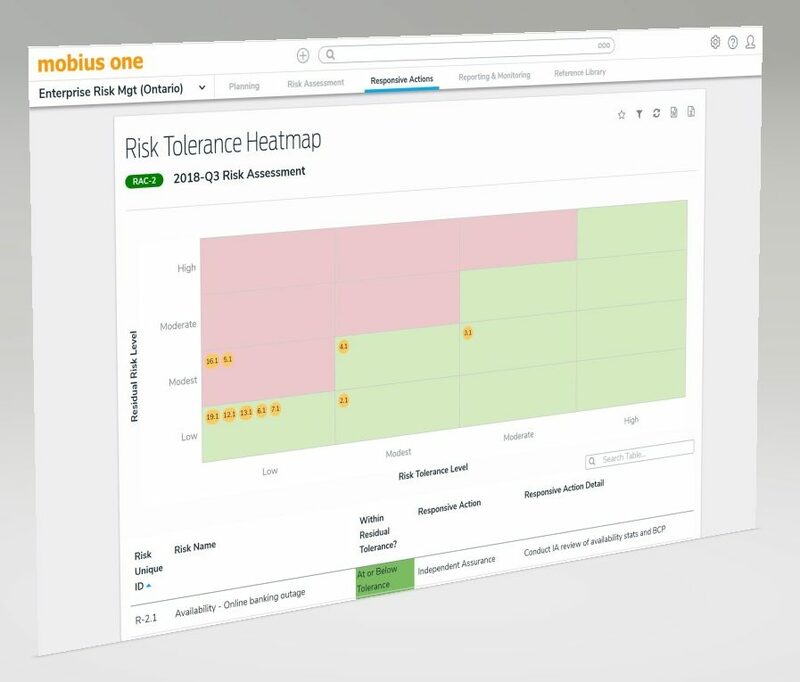 That’s why Mobius One is working to enhance the efficiency and effectiveness of risk, assurance and compliance processes. We’ve invested in developing processes, content and reporting that align to your business and regulatory compliance needs. 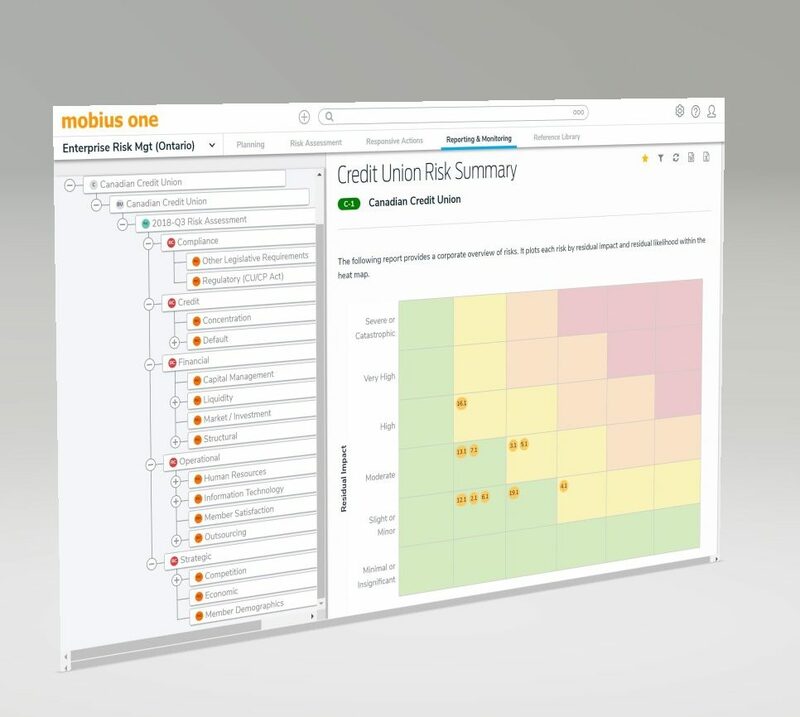 Our goal is to help you, your team, the Board and your members focus upon what matters most – making a difference..
Mobius One helps connect the dots between your risk, assurance and compliance activities – literally and figuratively. Risk is the common thread, so let’s start there. We enable you to focus upon the risks that matter, namely, those that may have a material, negative impact upon achievement of your organization’s objectives and/or value. 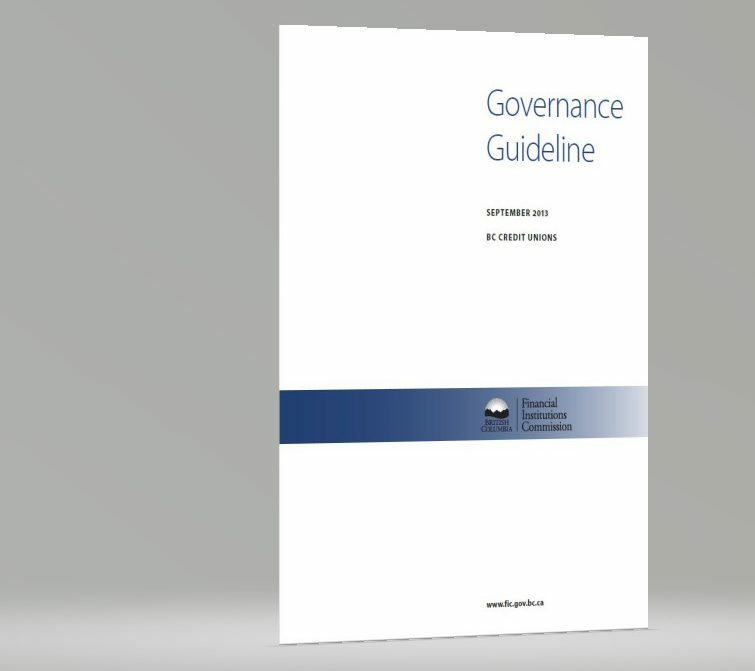 And there’s no need to re-invent the wheel – methodologies, risk categories, assessment criteria and reporting are aligned to regulatory standards, guidance and industry best practices. 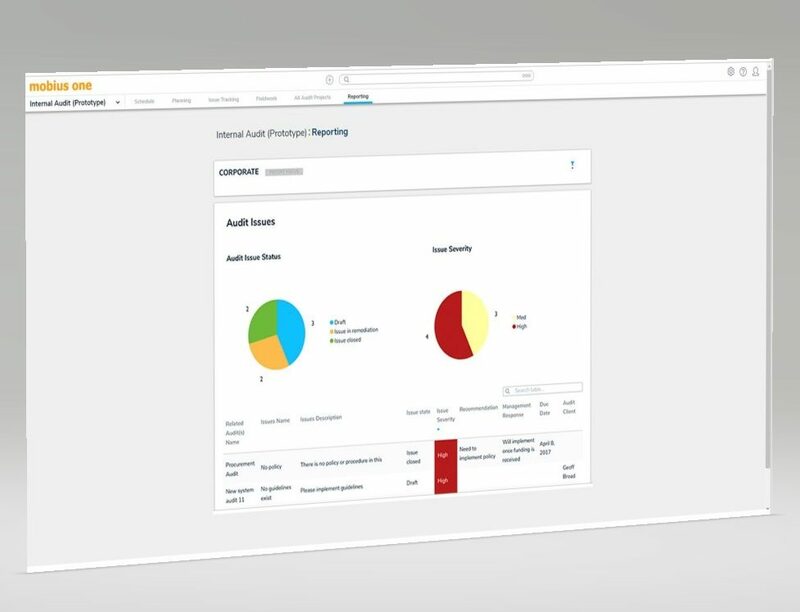 Imagine – no more spreadsheets, no more emails chasing overdue items, no more mad rush to aggregate reporting for the Board. 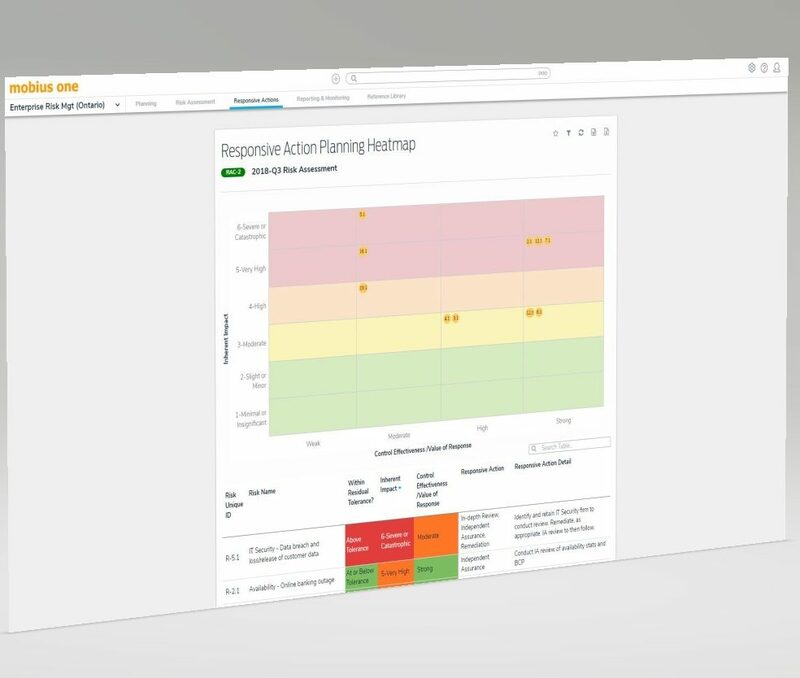 Instead, it’s time to enjoy real-time reporting and to leverage your data and insights to help spot risk issues and opportunities for improvement, enhancing collaboration and information sharing across the organization. 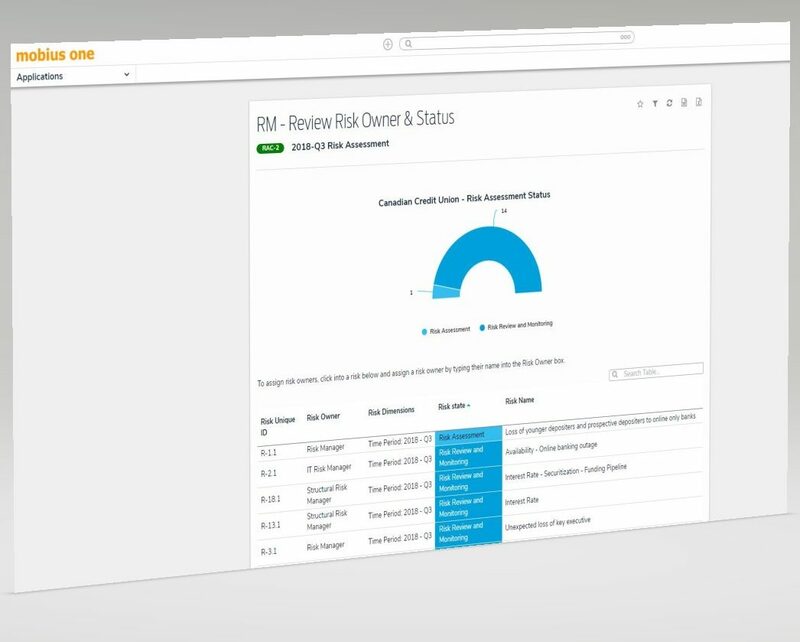 Once assessments are launched, you can readily track progress, view interim assessment data, liase with risk owners, etc, all within the application and in real-time. Reports can be instantly viewed at risk catagory, time period, department or location levels, or in the aggregate. Risk appetite, limits and tolerances need not cause heartburn. 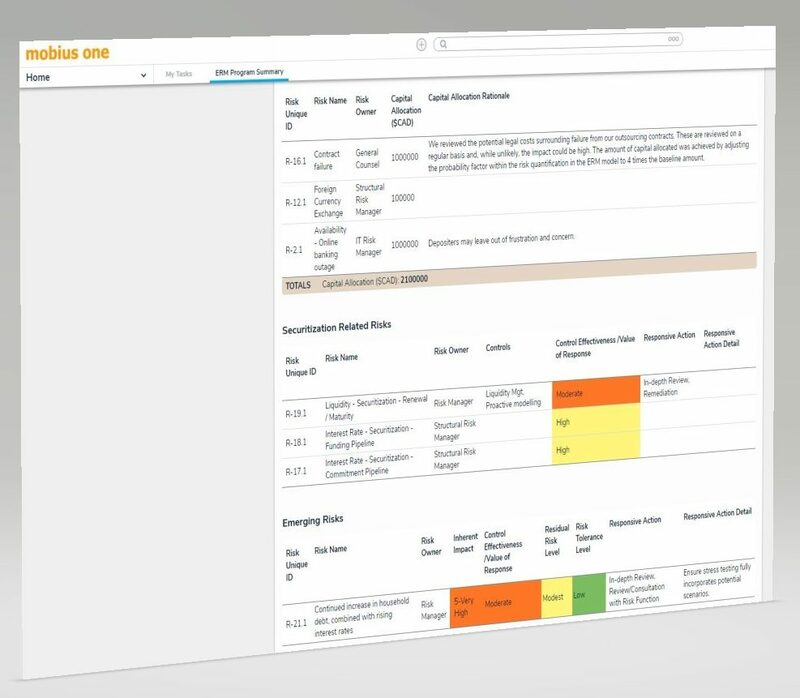 Monitoring of risk appetite, related limits and tolerances can be automated to enable real-time notification, should items fall outside of prescribed measures. 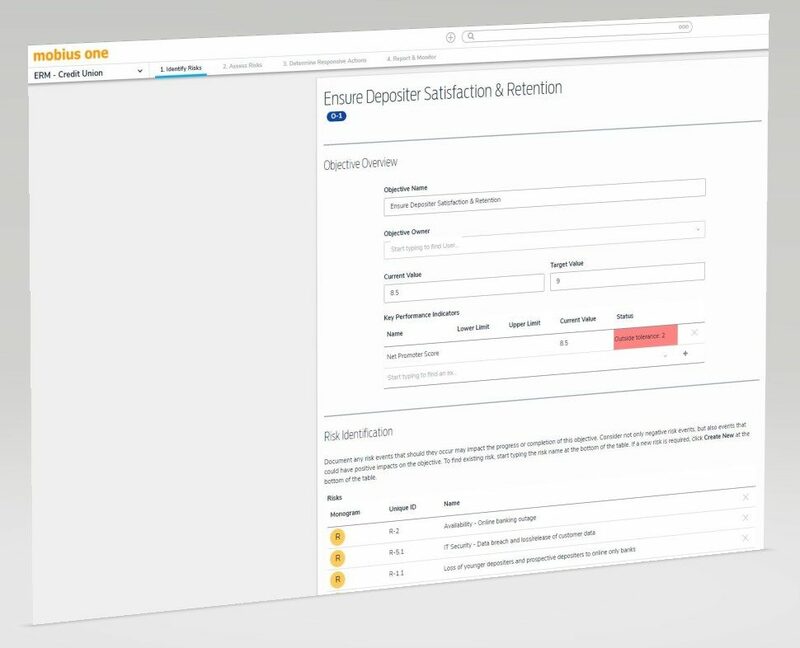 Relevant data can even be pulled directly from your core banking system, if desired. Plotting the inherent impact level of material risks relative to control effectiveness can help better inform responsive actions. For example, risks with high inherent risk and strong controls may be considered within your internal audit plan, whereas risks with high impacts but weaker controls may be targed for remediation. Inform your ICAAP, separately track and report against securitization and emerging risks, and more. Given the inherent overlap, a subtantial portion of your ICAAP can be informed and supported by our ERM application. In addition, you can provide your Board and regulators with reporting of both securitization and/or emerging risks. Both professional standards and regulatory guidance suggest a risk-based approach to regulatory compliance and internal audit planning. 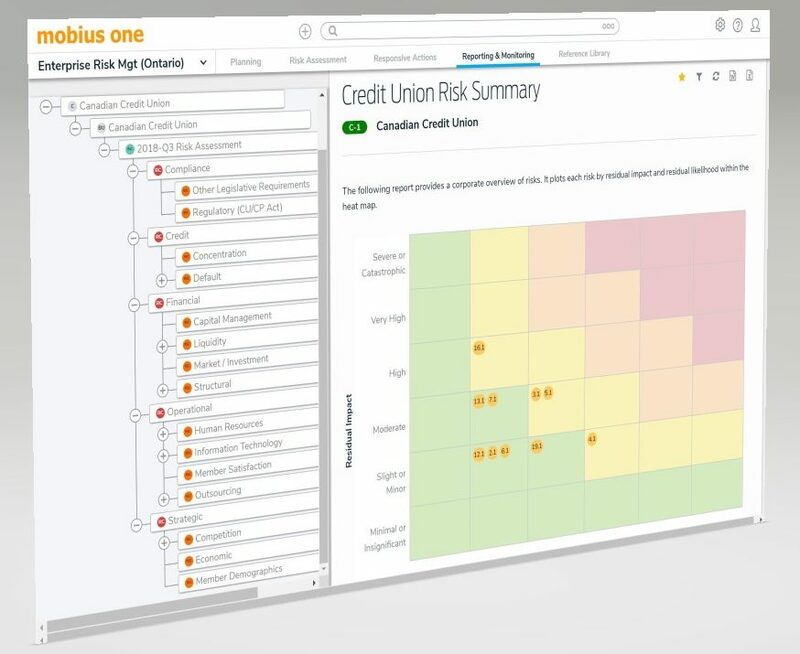 Mobius One makes it simple to align and integrate across a common language and view of risk – getting everyone, literally and figuratively, on the same page. 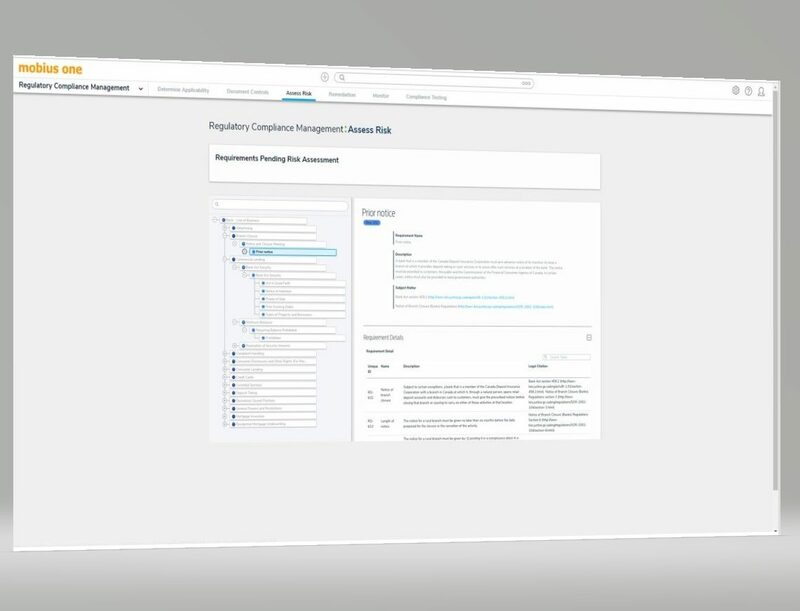 With the goal of enabling alignment and integration spanning ERM, regulatory compliance, internal audit and future application areas, we’ve employed a database design that offers unparalleled flexibility, scalability and performance. Our application enables a top-down approach to scoping in relevant lines of business, risk ranking relevant regulations and then documenting and testing related controls. Curated content, aligned to your lines of business, includes the Credit Unions and Caisses Populaires Act, , FATCA, Employment Standards Act, Canadian Anti-Spam Legislation, AML/ATF legislation, and more. Thinking of going federal? We can help there, too. 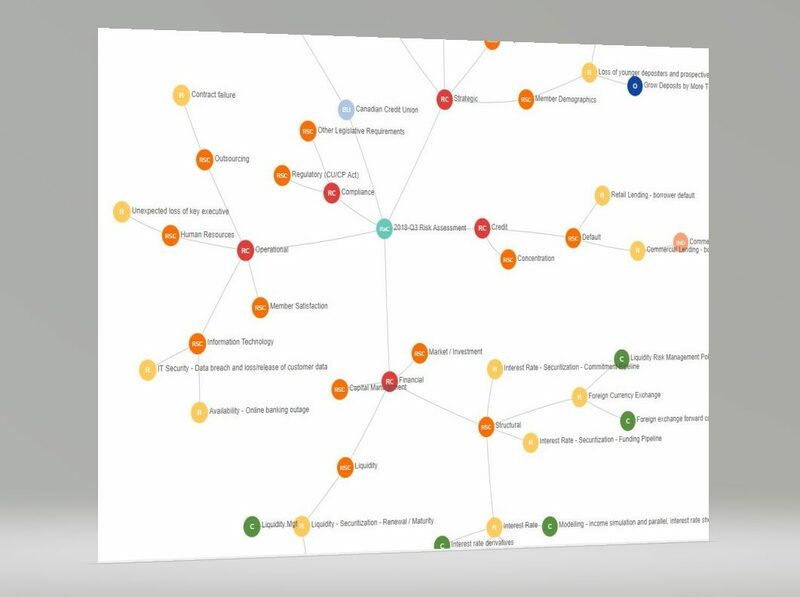 The combined risk insights of the organization can now serve as a foundation for a comprehensive and aligned assurance strategy. Better inform your internal audit plan and gain confidence that your organization’s assurance coverage is both comprehensive and efficient.